Ensuring all people have opportunities to maximize their creative potential. An African-American woman passionately delivers a speech in front of a National Guild-themed podium. Gain knowledge and skills through our trainings, technical assistance, national conference, online learning series, and publications. Connect with thousands of like-minded peers and mentors through our Member Networks, Directory, and Key Initiatives. Increase your ability to bring people together to move things forward in your organization, community, and nationally as we work collectively to advocate for community arts education. Over the past decade the Guild has helped me so much and has had such an impact on Villa Musica’s evolution...The leadership skills that I gained and continue to gain have been invaluable. We develop current and emerging leaders at hundreds of organizations nationwide to maximize the impact of arts education, strengthen and sustain programs, and generate innovative solutions. Quanice G. Floyd, Director of Learning & Leadership Development, reflects on the National Arts Action Summit in Washington, D.C.
See how your state measures up in this tool which compares arts education policy, data, and enrollment across all 50 states. 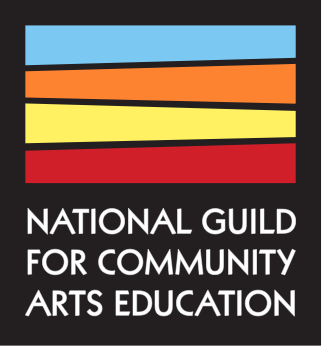 Let's Cultivate Community Arts Education Together!